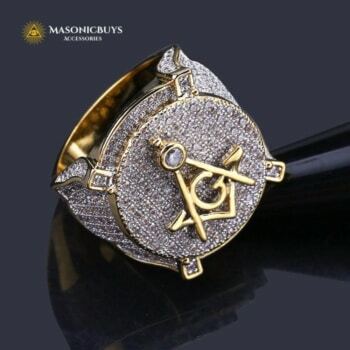 An exclusive and expensive-looking masonic ring with freemason symbol for men and women. Hand made with high quality. 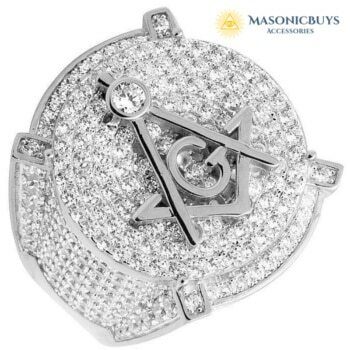 The whole surface of the ring is covered with the highest grade lab diamonds. 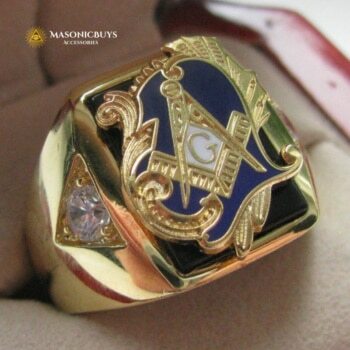 PACKAGE CONTENT: ring 1pc. + velvet bag. NB!! 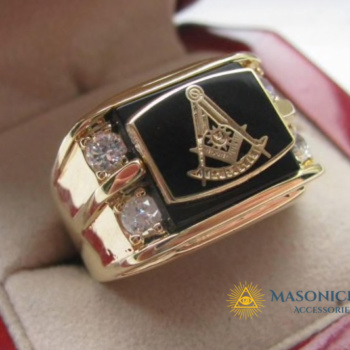 The same ring, but 18K White Gold Filled, is here! *These charts are for reference only. Fit may vary depending on the construction, materials and manufacturer. Measure rope (use smaller rope) must be tighten (very important) Measure 2-3 times, measured in millimeters.